CHARLOTTE AMALIE — Local and federal authorities moved swiftly on Thursday to address reports spreading throughout the U.S. Virgin Islands about a possible terrorist threat in the U.S. or British Virgin Islands, said V.I. Territorial Emergency Management Agency (VITEMA) director Mona Barnes. U.S. Coast Guard officials reported to VITEMA that at approximately 1:30 pm on Wednesday, the U.S.Coast Guard Command Center at San Juan received a telephone call from an unknown individual who stated that a terrorist threat was made against the British Virgin Islands’ Beef Island Airport and against the U.S. Virgin Islands in general. As a matter of protocol, the incident was provided as situational awareness to port and facility security personnel in the territory. Since then, the situational awareness report has been circulated and recirculated and has emerged in social media networks as factual information. Numerous residents have also called into VITEMA to inquire about the status of flights into the territory and whether there is an elevated threat level currently in effect. “VITEMA is working in close collaboration with local and federal authorities including the US Department of Homeland Security, US Coast Guard, FBI and the VI Police Department, to verify whether this threat is credible and whether elevated security measures are necessary,” Barnes said. Barnes added that VITEMA is the official source of information for any threat to the territory. “I want to also assure the community that VITEMA, working with local and federal partners, remains fully engaged in the effort to identify and disrupt terrorist activity in the US Virgin Islands,” she emphasised. Gov. 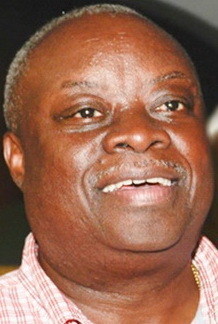 Kenneth Mapp and his staff were apprised of the threat on Wednesday and have been closely monitoring the incident. According to the CIA World Fact Book, the U.S. Virgin Islands is the only American possession never to have suffered a terrorist attack, foreign or domestic.